Welcome to BDO, Beer Distributors of Oklahoma! Formed in 1938, the Beer Distributors of Oklahoma (BDO) is the state organization for licensed independent beer distributors in Oklahoma, the majority of which are second or third generation family-owned small businesses. The BDO mission is to represent and advocate for beer distributors, to serve as their unified voice on legislation and regulation, to encourage the responsible consumption of beer and to assist distributors in their business and community roles. Each day, BDO members bring their products to the Oklahoma consumer -- products of the highest quality with tremendous selection, outstanding service and at very low prices. The economic impact of Oklahoma’s beer industry and the Beer Distributors of Oklahoma is very real. Job creation and payroll, along with property, income and excise taxes is very significant as is BDO reinvestment in and support of local communities. Most of all, the Beer Distributors of Oklahoma are a group of small businessmen and businesswomen working hard to make a living in Oklahoma – no different than any other small business. We are proud of our heritage, our state, our communities and the products we sell. Oklahoma U.S. 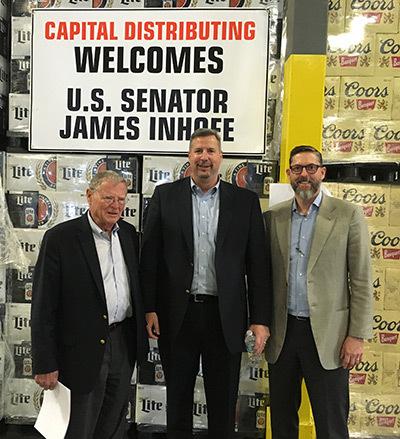 Senator Jim Inhofe (left) visited Capital Distributing Company in Oklahoma City accompanied by Gordon Green, Beer Distributors of Oklahoma board member and Capital general manager, and Brett Robinson, BDO president. 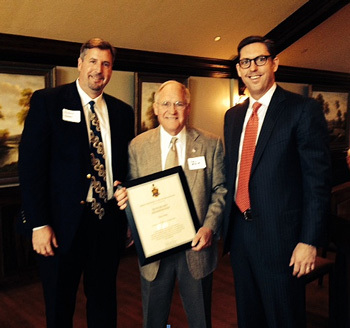 Dan Solie (center) receives an honorary lifetime BDO membership certificate from board chairman, Gordon Green (left) and president, Brett Robinson (right) during the April 16, 2014 BDO general membership meeting. BDO members and Oklahoma 4th District U.S. Representative Tom Cole (center) during the NBWA Legislative Conference April 28th in Washington, D.C.
America's beer distributors work hard to promote the responsible and legal consumption of alcoholic beverages by sponsoring and participating in many community-based efforts. Did you know that the Pilgrims aboard the Mayflower dropped anchor at Plymouth Rock in 1620 because their beer supply was running low? 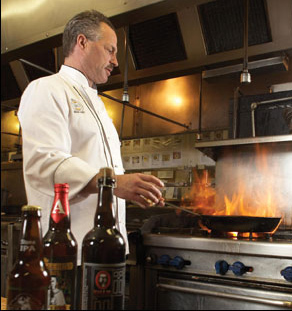 Have you ever thought about using beer as an ingredient in a recipe to enhance the flavor? Beer can add depth and rich flavor to just about any dish. We have a variety of recipes you can use that include using beer as an ingredient. Whether you are looking for appetizers, salads, soups, main dishes, breads or desserts, our delicious recipes will help you put something new on the table tonight.